Full disclosure: I love Kanye West. The first time I heard "Through the Wire," I was hooked. I bought The College Dropout followed by Late Registration the moment they were released (back in the day when people bought albums). Seriously though, go back and listen to “Heard ’Em Say,” and tell me that isn’t one of the best pop-rap songs ever. In the years between those days and now, Kanye has released yet more critically and commercially acclaimed records, married Kim Kardashian West and has built himself a reputation for being, let’s just say, not the most modest man in the world of music. And thanks to his sellout Yeezy line, he’s also currently trying to dominate the world of fashion. But despite his panache for self-aggrandisement, he’s still managing to do great things when it comes to both those industries. For this reason, I’ve taken a look at some of Kanye’s boldest statements for some inspiration when you need to get motivated. Because if these don’t work, then nothing will. 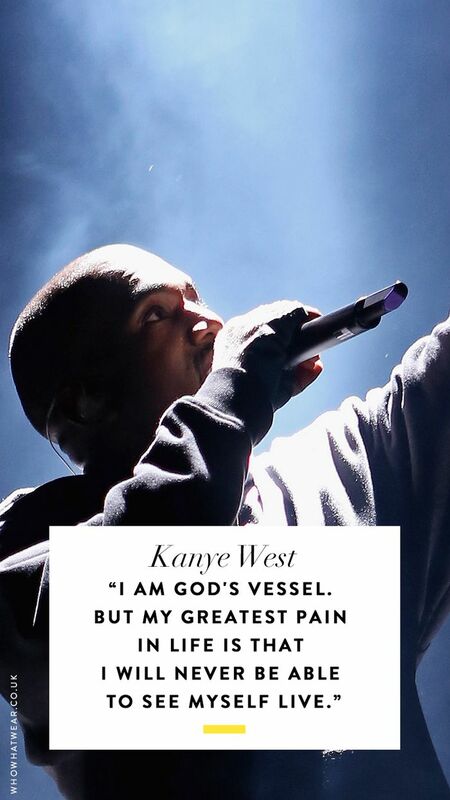 Keep reading for a mix of hilarious, clever and sometimes insightful words, courtesy of the one and only Kanye West.